Speaker of the National Assembly, Hon. Michael Perkins. Her Majesties Royal opposition in the Federal Parliament of St. Kitts and Nevis announced that it filed the Motion of No Confidence. Mr. Maynard urged the Parliament to deal with the issue as a matter of emergency and have it heard as soon as possible. The Opposition for some time had multiple rifts with Mr. Perkins ever since he was Deputy Speaker and did not favor his appointment when he was elevated to the post following the resignation of Franklin Brand. Last week Opposition Senator Nigel Carty was booted out of Parliament during the budget debate while making a presentation after he allegedly laughed while the speaker was giving a ruling on a matter. Mr. Perkins was ruling on a matter where Mr. Carty had mentioned an issue relating to the Director of Public Prosecution (DPP), something Parliamentarians are not allowed to discuss. Prime Minister Dr. Timothy Harris stood on a point of order, to rebuke Carty’s actions when the incident occurred. “A member rose on a point of order, I was ruling, I was about to rule or I had begun to rule on the point of order and you chose to laugh at what I was saying. 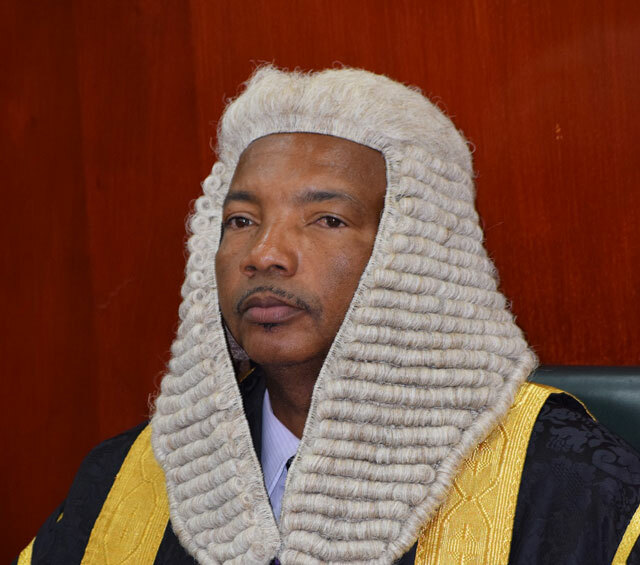 I find that to be grossly disorderly…and I’m applying section 49(2)…I’m asking you to immediately withdraw from the National Assembly for the rest of the day’s sitting…I find your act of laughing at the Speaker is totally and utterly disrespectful,” Perkins stated. Carty’s dismissal prompted other opposition members to walk out of the remainder day’s proceedings in protest and later issued a statement indicated that they were boycotting the rest of the budget proceedings. The Prime Minister then sat down. At this point Speaker intervened. Carty, who was standing and started to speak, sat down and was looking at the Speaker when the Speaker said “I too have a concern with the usage of the term ‘the dragging of the DPP out of office’. It was at this exact point, that Carty laughed out loudly, turning his head at the same time in the direction of his college Maynard who was seated on his left. When he finished laughing, he said something else. Perkins immediately ruled that Carty laughed at him which under Standing Order 49 (2), he considered to be “grossly disorderly” and ordered Carty to leave Parliament for the rest of the days sitting. When asked about the accusations from Members of the Opposition that some of his rulings have been unfair or bias, Speaker, Perkins again invited the public to consider why these Members choose not to follow the rules of the House (under Section 48(1)) which allow for any Member to challenge or have a review of any ruling, through “a substantive motion made after notice”. He said members instead, have gone to the public and made statements that misrepresent the facts or that are false.